The Self Determined Manager is a manifesto, guide book and coaching aide for everyone who wants to be a great manager. The best managers in the world combine determination, focus and ambition with thoughtful and deliberate actions that create highly effective teams and truly successful individuals. If you are a manager you have the opportunity, just because you are a manager, to do amazing work. But it is not an easy job, because the processes and tasks of being a manager do not matter very much. Your attitude and approach are what make the difference. Managers are key to every company and organisation. Nothing gets done without them. Yet, the importance of the role is usually underestimated and the impact a great manager can have is regularly taken for granted. If you aspire to be a great manager, or simply do better in the job right now, you need to work on becoming a self-determined manager. The Self Determined Manager shares with readers the attitudes, actions and agendas of the very best people managers. Covering both what they do, and the approach they take, the book details the ways in which Self Determined Managers make a difference to their teams and their companies. It's not easy to be a great manager, but this book is the blueprint and the manifesto for everyone who wants to manage others well. With practical questions, checklists, and in depth explanations, it's a powerful and practical guide that every manager will want to read. Long the unsung heroes, managers are actually the key ingredient that makes the difference in great companies, and the true work of the manager is to create an environment for their team - whether that's one other person or thousands of people - where they can be hugely successful, more successful than they realized was possible. The best managers are conscious, deliberate, highly skilled leaders of their teams. They are Self Determined Managers, and this book is written for everyone who wants to be better at this vital role. Marshall Goldsmith, New York Times #1 bestselling author of Triggers and What Got You Here Won't Get You There; two time Thinkers 50 World's #1 Leadership Thinker. 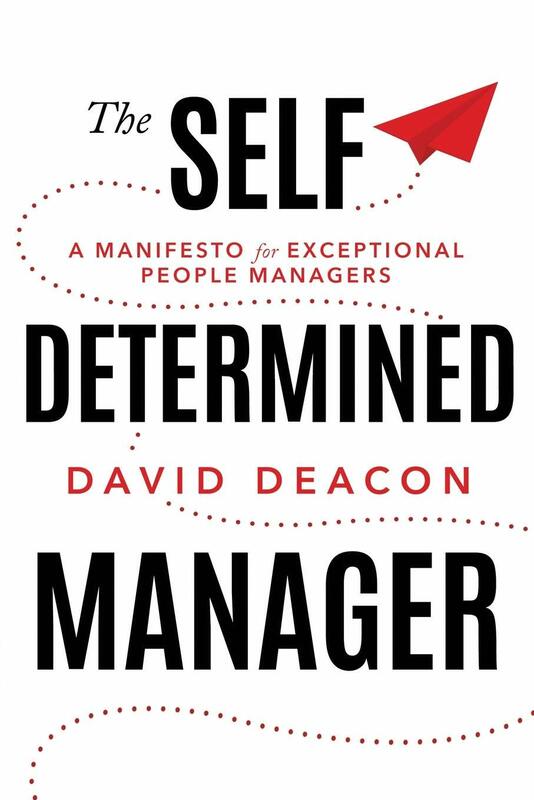 David Deacon is the author of The Self-Determined Manager: A Manifesto for Exceptional People Managers. He has seen managers from every angle as an HR leader for over thirty years, and he has been passionate about how managers manage for almost as long. His views on great managers are timeless and more relevant than ever in a world of uncertainty and change. 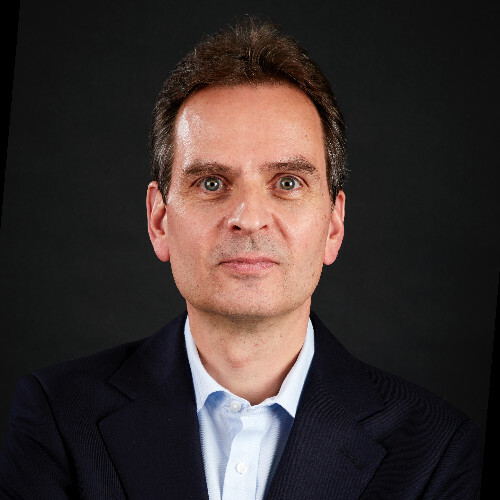 He has had many years practical experience of managing people around the world, working with some of the corporate world’s best leaders in a variety of leading companies, including Credit Suisse and MasterCard, and has lived and worked in the US, the UK, and Asia. A thought-leader in the fields of learning and development, talent management and leadership development, Deacon has influenced leaders and teams around the world and created better-managed companies as a result. Recognised by the Best Practice Institute as a "Best Organisational Practitioner" in 2014, he continues to drive impact through leading world-class talent management approaches in the companies where he works. See all of David's Blogs on LinkedIn. Here's a selection of some of the most recent posts. First think things through for yourself, then explain your thinking to the team. You cannot be a great manager if you do not think for yourself, independently of others, and reach your own conclusions. Decide that your management legacy will be developing highly productive people who over-achieve often, who grow successful careers on their own terms, who are effective and ambitious. It's structural: the person who manages the team is the one who has the power of the role to lead and direct the team. It's also personal: the way the manager behaves, acts and reacts influences how the team behaves. Great performance is found in environments where there is humanity, and friendliness, and humour. You set the tone. Great managers consciously and actively choose to create and endorse environments where people communicate clearly, understand their mission, look to each other, raise their performance by collaborating and pressing forward. Help to become a self-determined manager will be available both as an online course and classroom training. Now that the book is finished, attention has turned to writing the training materials and more details will be available soon. Sign up here to register your interest in being one of the first to learn how to be a truly effective manager.